Edamame is the Japanese name for soybeans harvested when they are still young and soft, from May to late October, now a popular snack all around the world. Gunma prefecture accounts for approximately 28% of the domestic production, followed by Akita (24%) and Yamagata (12%). Some varieties of soybeans need to mature before they can be harvested, whereas others are suitable to be picked before maturation. New types were created in order to increase the size, quantity and quality of the beans. Edamame were presumably eaten already during the Nara period (710-794)or the Heian period (794-1185). There also exist written references of their being presented as gifts during the Kamakura period(1185-1333). Duringthe Edo period (1603-1868),in the summertime,street vendors would peddle soybeans still attached to the twig, then boiled and soldto people who would snack on them while walking. Originally, they were called edazuki mame, literally “beans on a twig”, which was later shortened into the present day form edamame. The colour of the pod is important, and bright-green is most desirableshade. Ripeness induces a reduction in the content ofsugar (responsible for the distinctive flavour and sweetness of edamame), amino acids and ascorbic acid. The most popular way of preparing edamame is to boil and salt them. They are a popular snack in bars, especially paired with beer and drinks. The high protein content of soybeans will reduce the toxic effects of alcohol. In Miyagi and Yamagata prefectures, edamame are boiled and reduced to a jam, which is used to make the famous zunda-mochi, edamame-flavoured rice cakes. What is unexpectedly unknown is the great nutritional value of boiled edamame. Boiling is the tastiest fashion of preparing edamame and it is incredibly easy, too. All you have to do is rinse the edamame cut both ends of the pods and rub them in salt. Bring a saucepan of water to a boil, add the edamame and boil for about three minutes. When they are cooked,you shouldstrain and sprinkle them with salt to coat. Do not try to cool them by spraying them with cold water. That would only make them soggy. Grab a nice, cold beer and you are settled. Enjoy! From the 5th to the 11th of August, the Farmer’s Market Weekcelebrates American farmer’s markets to promote the advantages of this centuries-old tradition that has come back into vogue with a new focus on sustainability and well-being. All over the world, the markets selling fresh, local products from small, often family-owned businesses are a great way to familiarize with regional food and traditions and to meet the locals, enjoying an immersive and authentic experience. Here is a tentative list of 10 farmer's markets around the world, each one a faithful mirror of the culture that feeds it and of the city that hosts it. Union Square Green Market (New York, USA)It was the year 1976 when a bunch of farmers and breeders from New York began to bring their own products to Union Square, one of the largest open and public spaces in the city. Since then, the growth has been continuous: today, fishermen, farmers and bakerstake up around 130 stalls visited by thousands of New Yorkers stationed or in transit, looking for unique and fresh produce. Roppongi Ark Hills (Tokyo, Japan)Part farmer's market, part outdoor meeting and entertainment space with a special focus on families who may take advantage of a large playground for children, Roppongi Art Hills offers fresh fish and specialties from around Tokyoalong with small handicrafts. Besides shopping, we recommend eating at one of the many small restaurants that surround the market. Borough Market (London, UK)This market originated in 1014, when crossing the Thames and reaching the southern shore was a no easy task and occasionally illegal. The market enjoyed a renaissance starting from the 1990s, when the first specialty food stalls landed in its empty warehouses and their instant success showed the world that there was a new desire to experience tastes and traditions in London. Open 6 days a week, this market is now a must-see for anyone visiting the city and willing to explore the contemporary British food scene. Cangas De Onis (Spagna)Cangas de Onis is a small town in the mountains and, quite unexpectedly, the former capital of the Asturian Kingdom, in northern Spain. A classic border city, every Sunday it comes alive with an ancient market dating back to as far as the Middle Ages, housed in the large square between Palaciu Pintu and the church of Santa Maria. The result is a feast of food and colors revolving around Asturian and Spanish culture, with a focus on local cheeses, a true specialty of which each producer will be happy to explain visitors the production process and complex taste. Desserts, jams and typical local hazelnuts complete the landscape. Ferry Plaza Farmer’s Market (San Francisco, USA)This 25-year-old market is an expression of the pioneering Californian spirit in terms of sustainability and zero-mile food. Managed by CUESA (a non-profit association), it is a point of reference for those who love the sustainable culture of food, as well as for renowned chefs and for thousands of visitors who flock to the market, especially on Saturdays. Standing along the Bay Area commuter route, it offers fresh fruit, vegetables, fish, and baked goods. Roma Farmer’s Market (Roma, Italy)The Garbatella district is a historic, working-class district of Rome. Among its old buildings, often covered in murals, sits the old local market, which was recently renovated to include the city’s most historic market formerly located in the Testaccio neighborhood. The stalls sell pizza, pasta, cheeses, meats, fruit, vegetables and local delicaciesfrom the local countryside. Open on Saturdays and Sundays.Piazza delle Erbe Market (Padua, Italy)In every venetian city there is a ‘Piazza delle Erbe’ where, often since the Middle Ages, farmers used to come to sell their products. In Padua, this long-standing tradition continues: in the heart of the city, among palaces that echo the splendor of the Venetian Republic, every day (except Sundays) fruits, vegetables and fresh produce from the surrounding countryside are sold in more than 70 stands extending into the adjacent Piazza della Frutta, for the benefit of locals, tourists and thousands of students. Marché Bastille (Paris, France)As it often happens in France, at Marché Bastille the beauty of the food delights the eye even before its taste delights the palate: endless varieties of fresh fruits and vegetables, meats, fish, spices, and olives. There is also an African component represented by the presence of batik fabrics, decorations and jewels. Finally, the abundance of gourmet stalls has turned this market into a major foodie destination, yet this gastronomic ‘gentrification’ suggests paying attention to the prices. Kaupattori Market (Helsinki, Finland)This market is one of the many good reasons to visit Helsinki. The square that houses it offers an unmissable view of the Gulf of Finland and it is connected to Esplanade Park, one of the city's green arteries. Fresh fish, to be taken away or eaten on the spot, is king, along with seasonal local vegetables and fruits. Kowloon City Wet Market (Hong Kong, China)With over 500 stalls housed inside a huge structure that looks like a ship, this market is mainly focused on fresh fish, available in endless variations. For a full immersion in the colors and the fragrances of southern China, take a look at the stalls selling local fruits like longan, rambutan and durian. In 2013, UNESCO added traditional Japanese cuisine, or washoku, into its Intangible Cultural Heritage list, as a social custom handed down from generation to generation that expresses Japanese people’s respect for nature. The main characteristics of Japanese traditional cuisine are: diversity and freshness of ingredients and respect for their inherent flavours;an extraordinarily well-balanced and healthy diet; an expression of natural beauty and the changing seasonsand a close links with annual events. Ichijūissaiis a word that expresses the ideal nutritional balance of Japan’s dietary habits, revolving around a set meal consisting in a bowl of soup, rice and one further dish. The combination of these three main ingredients is rich in umami and low on animal fat and it makes a wonderful tool for longevity and obesity prevention. Last but not least, set meals are an inexpensive yet tasty choice, especially in Tokyo. If you like washoku, here are a few recommendations. To-iro (Nakameguro)At To-iro, you can take one of the eight seats at the counter and enjoy rice and miso soup prepared with different ingredients every day. Nutritious and delicious. Chisō Kōjiya (Shirokane-dai)Home-made miso and salted rice malt are the base of Chisō Kōjiya’s dishes, with the freshest vegetables and fish from Tsukiji Market. We particularly recommend the free-range chicken from O’oyama, Tottori prefecture, seasoned with salted rice malt. Washoku Ando (Akasaka)In the modernly furbished shop, you can taste seasonal ingredients changing every month. Washoku Ando uses Koshihikari rice from Niigata prefecture. Nidaime Aoi (Shibuya)Chef Yūichirō Satoyoshi will find the dish that best matches your personal taste. A personal recommendation would be dashimaki tamago, traditional Japanese rolled omelette made with egg and dashi. Sake Square (Kinshichō)The speciality is fresh fish, paired with sake selected by a lady sommelier. The Japanese capital is a hectic, hard-working, crowded city, and while these are just the things that make it so vibrant and exciting, sometimes life in the city can stressful, especially when you’re tired and in need of a well-deserved break. So, where do Tokyoites go to spend a relaxing weekend whenever they unplug from work? As it turns out, there are so many incredible and diverse places only a short train ride away that they are definitely spoiled for choice. Following are a few ideas recommended by locals. Just take your pick! Mount FujiThe world’s most iconic mountain, Mont Fuji, is actually an active stratovolcano sitting 60 miles south-west of Tokyo. On clear days, it can be seen from several viewpoints in the city, including the tallest skyscrapers and the surrounding mountains. Oshino, a small village in the Fuji Five Lake region, Yamanashi Prefecture (114 kilometers from Tokyo), offers an absolutely mesmerizing view of Mount Fuji, especially when its snow-crowned summit appears in the midst of the cherry trees or the autumnal foliage. We recommend taking the opportunity to visit nearby Oshino Hakkai, a set of eight ponds fed by snow melted from the slopes of Mount Fuji that filters down the mountain through porous layers of lava for over 20 years, resulting in very clear spring water. Tōshōgu Shrine in NikkoLocated about 2 hours north of Tokyo, Nikko’s Tōshōgu can be reached from Akasaka Station by the “Kengo” limited express train in two hours only. It is a truly mystical place, a World Heritage Site lying on the holy grounds of the Nikkō mountain range, where the shimmering waters of the Daiya River, flowing from Lake Chūzenji, and the Inari River, flowing from Mount Nyohō, converge. The whole area is covered in a forest of cedar trees aged between 400 and 800, and dotted with shrines. The Tokugawa Ieyasu Tōshōgu is a magnificent place with a strong impact. Animals are carved in the wooden parts of the building: these include the “Three Wise Monkeys”,respectively covering their eyes, ears and mouth to avoidlearning from evil or dwelling on evil thoughts. KanazawaA two and a half train ride from Tokyo by Hokuriku Shinkansen, Kanazawa, overlooking the Sea of Japan, is known as a trove of seafood, such as snow crabs and amberjacks. Besides trying the amazing local cuisine in the restaurants, we recommend that you take a tour of the extraordinary Omicho Market, where about 180 shops are lined on both sided of a huge shopping arcade selling the specialities of Kanazawa: fresh raw and cooked seafood, seasonal vegetables from the area and sushi lunchboxes. The Hakone Open Air MuseumThe Hakone Open-Air Museum, 90 kilometers south of Tokyo, is a unique outdoor exhibition of sculptures by Japanese and international artistssurrounded by nature, and on the background of some truly beautiful views of the surrounding valley and mountains. Featured artists include Juan Mirò, Auguste Rodin, Henry Spencer Moore, Emile-Antoine Bourdelle and Medardo Rosso. The museum also has various indoor sections. The Picasso Exhibition Hallis an impressive two-story exhibition space entirely devoted to the Spanish artists, with paintings, sculptures, ceramic works and even photographs documenting Picasso’s life. The indoor exhibition rooms display masterpieces byBrancusi, Renoir, Giacometti and other major artists. Ito, Izu Penninsula100 kilometers southwest of Tokyo and easily reachable by train, the Izu Peninsula is the perfect weekend getaway from the capital. The eastern coast is home to some of Izu’s most renowned hot spring resorts, including Ito, a real favorite among Tokyoites who like to come here and indulge in well-being and relaxation. Surrounded by cliffs and hills, Ito boasts a long tradition in hospitality: one of its oldest buildings is Tokaikan, a former ryokan, A.K.A. a traditional Japanese wellness inn, now open to the public. Besides admiring the former guest rooms with their classic tatami flooring, futon beds and intricate wood carvings, visitors can access to the ryokan’s tea room and baths, both still in operation. Yamagata Prefecture is renowned for the high quality of the rice. Here, surrounded by the paddy fields, stands the first hotel designed by famed architect Shigeru Ban, which will open this summer. Shōnai Hotel Suiden Terrasseis a wooden two-storey lodging complex, inspired by the beautiful landscape of Shonai’s rice paddies, one of Yamagata’s symbols. The complex consists of three buildings, named Gassan, Haguroand Yudono(the Three Mountains of Dewa), with 143 rooms, which include suites, double and twin rooms, as well as bedrooms for larger groups. Each room offers the relaxing view of the floating Yamagata country scenery. The designer of the hotel,Shigeru Ban, is an architect who has worked all over the world and has won numerous awards, including the Japan Architecture Grand Prize and the Asahi Award. In 2014 he was appointed Officer of the French Ordre des Arts et des Lettres, the Pritzker Architecture Prize and the Mother Teresa Memorial Award for Social Justice. Furthermore, after the 1995 Great Kobe earthquake, he founded the Voluntary Architects’ Network (VAN) and undertook the construction of the emergency housing and temporary chuch assembly halls. Ban is also active providing support to areas affected with natural disaster in Japan and abroad. In addition to the lodging facilities, Shōnai Hotel Suiden Terrasseis an ideal pied-à-terre for those travelling both for business or for leisure, with a restaurant and bar, a meeting room, a shop, a library, natural hot springs and a fitness area. The real jewel in the crown is the hot spring facility, covered in a beautiful wooden roof, which pumps the water from a depth of 1,200 m.At the restaurant you can enjoy seasonal ingredients farmed locally without using any pesticides, while admiring the enchanting view of Mount Gassan. The pre-opening is scheduled for 1stAugust, whereas the grand opening will be held mid-September. 21 years of history, over 1,200 breweries and almost 7,500 different beers: the Italian craft beer market has evolved a lot since the birth of the first brewpubs - namely pubs producing their own beer – in the mid-Nineties.These brewpubs grew into microbreweries, and with entrepreneurial spirit, started to sell throughout Italy and abroad, and joined the global craft beer bandwagon. Telling apart beers made by truly independent craft brewers from those made by large companiescan sometimes be tricky. Yet when it comes to 32 via dei Birrai, all doubts seem to dissolve: this microbrewery from Treviso puts such meticulous attention to ingredients and productionthat it is the first Italian beer to earn the Slow Brewing Quality Seal. Slow Brewingis an international organization that works with the Technical University of Munich and the Italian Brewing Research Centre at the University of Perugia (CERB) to ensure the quality of raw materials through all production stages and set rigorous standards for hygiene requirements, environmentally friendly distribution methods while respecting the traditional manufacturing methods. The story of 32began in 2006, when sales expert Loreno Michielin, engineer and homebrewing enthusiast Alessandro Zilli, and master brewer Fabiano Toffoli combined their passion and skill to create a craft beer with a unique character that would stand outin the already saturated Italian craft beer market. Why the name 32 Via dei Birrai? "32 is the number corresponding to the beer production class according to the Nice international classification of goods and services", Loreno Michielin explains. "And via dei Birraiis a reference to a street in Brussels, rue Des Brasseurs, or brewers’ street”. The three founders focused mainly on the relationship between taste and design: a set of unique flavors reinforced by unmistakable packaging and bottle design, topped off with their signature round 32sticker. The other focus is sustainability, not only regarding energy usage throughout the production process but also after: the packaging is designed to be recycled or reclaimed into decorative objects, for example corks that become keychains. "Of course, to have a craft beer emerge, you need to work on making a great impression on the final consumer, and on achieving a kind of quality that is tangible, proven," Michielin explains. 32 Via dei Birraiachieves quality via a long production process characterized by limited quantities, craft techniques such as re-fermentation, and respecting the raw materials. Six weeks are required for 32’s beers to metamorphose from simple ingredients in a factory to a final product being sold on a shelf. This is because each beer is highly fermented and non-pasteurized. The result is a non-standardized beer- to the point that an expert consumer might notice the difference between different batches of the same type of beer. "Unique, steady and consistent" are the keywords which, according to Loreno, give us the best definition. One of their side projects is donating money to Fondazione Lucia Guderzo’s school for vision impaired children from the sales of bottles with braille printed on the label. 32 via dei Birraiis a very non-standard beer company, indeed. Exit-Gastronomia Urbana was born with the ambitious goal of bringing the excellence of a haute cuisine restaurant inside a historic food kiosk in the old city. Behind it is Matias Perdomo, the starred chef who owns a very famous restaurant in Milan, and who decided to bring the excellence of his own experimental into a very humble location, with a menu that honors the ancient local food kiosk tradition with premium raw materials and innovative techniques. Partnering with chef Simon Press and maître-sommelier Thomas Piras, Perdomo conceived Exit-Gastronomia Urbana as a place that challenges the rules by turning a place that is an integral part of the urban landscape of the city into something purely innovative. The kiosk thus becomes a bridge between tradition and avant-garde, between the history of Milan and the city’s new cosmopolitan spirit. The opportunity to eat at any time of the day is a further innovation here in Milan: à la carte dishes can be enjoyed from morning to night, without constraints. From Monday to Friday from 8.00 to midnight and on Saturdays from 10.30 to 4 p.m., you are free to choose one of the 30 available seats available and enjoy great food and the pleasant atmosphere of the vibrant piazza where the kiosk, thanks to an efficient system of movable windows. The interiors are in perfect harmony with the hybridization of places and eras that Exit's cuisine and wine list express. The local Ceppo di Gré stone, widely used for Milanese period buildings, has been carefully crafted to create small objects such as cutlery holders, and Venetian Briccole, the same wood from which the long poles that emerge from Venice’s lagoon are made, has been used for the counter, the tables other wooden elements. Suspended between rediscovery and avant-garde, Exit is bound to become a point of reference for gourmands in Milan. Not at a man's pace, but certainly on a human scale: seeing some of the most beautiful landscapes in the world from a bicycle changes your perspective and perception of the distances. Whichever route you choose - long or short, easy or challenging - cycling tourism is a great way to experience big cities or to explore wild new territories. Here are ten cycling paths to inspire your desire to discover the world on two wheels. Dali and LIjang (China)The province of Yunnan, in south-eastern China, is a mix of natural beauties and small villages with ancient traditions that definitely deserves a visit, especially at bicycle pace. The villages of Baisha, Xizhou and Shuhe will allow you to experience a very different Chinafrom that of the huge cities, as will the pretty towns of Dali and Lijang. Visiting the stone forest or cycling along the Erhai lake is a truly unforgettable experience. Paris (France)All the world capitals provide bicycle tours to discover their landmarks and points of interest. Paris offers plenty of itineraries for groups or individualswith a private guide, as well as the opportunity to rent bicycles discover the City of Lights from an alternative point of view. Trossachs and Highland Pertshire (Scotland)The Loch Lomond and Trossachs National Park, just north of Glasgow, comprises lakes, mountains and castles, epitomizing the ancient and indomitable landscapes that make Scotland unique in the world. Most tours by the local agencies include fun stops at the whiskey distilleries along the way. From Hanoi to Ho Chi Minh City (Vietnam)It takes about 15 days to go from the extreme south to the extreme north of Vietnam, slowly exploring the course of the Mekong River and the coast overlooking the South China Sea with the famous Ha Long Bay. By bicycle and onboard the traditional local fishing boats, you will be able to savor the beauty of this land, from the extraordinary variety of nature, landscapes and cuisine to their proverbial hospitality. Aeolian Islands (Italy)This Italian archipelago, a UNESCO World Heritage Site, is perfect for a cycling holiday between April and June, when temperatures are mild and the sea already offers its best colors. The most suitable routes are located in Lipari, Salina and Vulcano, less harsh than the other islands of the archipelago, with perfect roads for a relaxed cyclingtour and harder routes for those who prefer a little challenge. From The Baltic to the Adriatic Sea (Poland/Slovenia - EuroVelo9)There are 15 Eurovelo routes outlined within the European territory to date and, although they are not yet fully completed (because long stretches are not equipped), they are an interesting opportunity for those who choose to travel Europe by bicycle. We picked the one from the Baltic Sea to the Adriatic Sea, running for 1,870 kilometers from Poland to Sloveniaalong the ancient Amber Road. From Toulouse to Marseilles (France)The Canal du Midi is the eighteenth-century waterway that connects Toulouse to the Mediterranean Sea running through the ancient Languedoc region. Over 240 kilometers long, it was born to connect the local waterways to the Garonne and tto the Atlantic, creating one large water course. If you love slow holidays, the Canal du Midi – a Unesco heritage site - is a silent and patient travel companion that will keep you company as you ride among some the most beautiful landscapes of southern France. MoroccoThe western outpost of North Africa lends itself more and more to be a destination for bicycle tourism, seasonal temperatures permitting. In two weeks you can touch imperial cities like Fes and Marrakech and maybe head towards Zagora and Merzouga. Those who love free camping will have no problem finding suitable spaces, maybe counting on the ancient local tradition of hospitality. Cape of Good Hope (South Africa)A bicycle tour might allow you to include all the best reasons to visit South Africa in one single itinerary: enjoying some whale-watching, tasting the excellent local wines, crossing national parks and travelling to the southernmost coast of the continent, just to name a few. Our suggestion is to find a guide and inquire about the levels of difficulty of each route in advance. Carretera Austral (Chile)The road that leads from Puerto Montt to Villa O'Higgins through Patagonia and almost to the end of the worldis a veritable cycle tourism classic. Todo cambia: the paths, from asphalt to dirt roads, the altitude, and the climate. What does not change yet is the beauty of the landscapes along this 1,240 km journeyto be done in at least one month, camping along the way and learning to find your bearings in the almost total absence of road signs. From Teruel to Valencia (Spain)Spain is crossed by the so-called "green roads", cycling routes that follow the tracks of the old disused railways. The longest one is called Ojos Negros, and it runs for 160 kilometers from Teruel to Valencia, including two sections with the Sierra Menera montains as an intermediate stage. Tofu is believed to have been invented in Chinain the 2ndcentury BC. It was first introduced to Japan during the Nara period (710-794) by the Japanese envoy to the Tang Dynasty, but there is no clear evidence. It was in the Edo period (1603-1868) that the Japanese brand of tofu was created and the consumption of tofu became widespread. 1782 was the year of publication ofTōfu hyakuchin, a book with over 100 recipes for preparing tofu. Due to its immense popularity, the cook book spawned two sequels: Tōfu hyakuchin zokuhen and Tōfu hyakuchin yōroku. In East Asia, tofu has always been an important source of protein. In Japan it also supplemented the consumption of meat, especially in a time when it was not customary to raise livestock and the only meat available was the one of hunted deer and wild boars. With the introduction of Buddhism, eating meat became a taboo. It was only after the Second World War that the consumption of meat exceeded the consumption of fish. Despite the change of eating habits, tofu is still standing strong as a highly nutritious staple food. Linoleic acidshelp reduce blood pressure and cholesterol levels. Lecithin and beta-conglycinin have a tremendous effect on lipid metabolism and fatty liver, whereas lecithin and choline help prevent the aging of the brain and improve one’s memory. Saponinsare effective in preventing adult diseases. Isoflavones can help decrease the number of women diagnosed with osteoporosis, cancer and arteriosclerosis. Oligosaccharidespromote the growth of Bifidobacteria, which are beneficial to intestine health. And last but not least, calcium, in addition to strengthening bones and teeth, is a powerful anti-stress. It is an undisputed fact that tofu has a low calorie count, which makes it a popular food in reduced-calorie diets. However, tofu may also be connected to longevity: the higher the tofu intake, the higher life expectancy. As a staple food, Japanese tofu comes in different types and is the basic ingredients of countless recipes. Imagine opening a perfect sushi box, grabbing your chopsticks, tasting the food and finding out that there is no rice or fish but just excellent uramaki-shaped Italian artisan gelato with funky flavors such as lemon, basil, ginger, and black sesame. Welcome to the world of Ilaria Forlani, a thirty-year-old pastry chef who experiments with artisan gelato and food design crossing the boundaries of traditional ice cream taste and pairings. The inspiration was born out of her love for the aesthetics of oriental food, that she discovered when traveling between Australia and Southeast Asia. The result is Glacé, Ilaria’s own ice cream parlor in Palazzolo, a town halfway between Brescia and Milan, from which she has developed a gelato concept that mixes design and natural ingredients, art and the art of food – just as oriental cultures do. At Glacé there are no boundaries between sweet and savory, nor between hot and cold. On the contrary, opposites coexist and complement each other to offer a distinctive taste experience. We spoke to Ilaria to learn more about her journey through taste and where it is going. SJ: Why did you choose gelato as the raw material to experiment in food design?IF:Gelato has always fascinated me and it reminds me of some of the happiest moments of my childhood. Over time, I got to know the complexity behind it and the endless possibilities that it offers to those who – just like me – strongly rely on creativity and inspiration. SJ: Where did the idea of ​​combining Italian gelato with oriental aesthetics come from?IF:It all started during a long stay in Sydney, Australia. My friends were all Asian and this allowed me to get in touch with cultures that are very different from mine. As a result, even food appeared to me under a new light, and this constant contamination has definitely influenced my professional training and the choice of my next travel destinations. South-East Asia did the rest: countries like Thailand won my heart and still inspire me today. SJ: What are the most versatile gelato flavors and why? Did you come up with special tastes to enhance your creations?IF:I love all the classics, although I personally like to create new (and even daring) combinations and shapes to offer a different experience to those who try my products. Places, moments, trends, people and moods: everything influences the creation of my desserts and gelato. Even exchanging ideas and experiences with other chefs or restaurateurs allows me to grow and improve myself day after day. SJ: Glacé is come sort of a culinary tromp-l'oeil: the look says ‘sushi’, yet thepalate says ‘gelato’. What role does aesthetics play in your creations?IF:A crucial role. The quality of the product and the choice of the ingredients are essential, but the emotion that design can convey is my main focus. First the sight, then the palate. It is my mission. My passion. SJ: What are your plans for the near future?IF:First of all, to consolidate the amazing partnerships I established with tourism, food, catering and fashion companies, of which I am very proud. The future will start as soon as this September, when my Glacé - Sweet Concept Store will open in Milan. I also dream of opening my own Academy – in the meantime, I am taking part in various training projects from well-known industry players and collaborating as a columnist with the trade magazine GELATO Artigianale. Observing an enormous mass of water falling from a mountain or opening a crack in the ground generates a hypnotic vertigo. The grandeur of nature is revealed in many ways, but water has the irresistible charm of eternal movementand watching a water wall a hundred meters tall is always a breathtaking experience. Yet some waterfalls are more impressive than others. Here is a tentative list of some of the most fascinating waterfalls in the world. Howick Falls (South Africa)In the South African Midlands, east of Cape Town, river Umgeni makes a jump of over 100 metersbefore running towards the ocean. The beautiful light and the surrounding greenery add some additional charm to the scenery – not to mention the cultural vibrance of the area which is dotted with artisan workshops leading the way of new South African creativity. Iguazu (Brazil-Argentina)Here is one of the Seven Wonders of the world, so incredibly unique that Eleonor Roosevelt once supposedly exclaimed “poor Niagara!” at the sight of it. This huge waterfront marking the border between Argentina and Brazil is an uninterrupted sequence of 275 waterfallsalong the course of the Iguazu river, among which is the impressive "Devil's Throat", 150 meters deep and 700 meters long. The Brazilian part is the one with the best view, and it also offers the opportunity to explore the entire Iguazu National Park all around the falls. Victoria Falls (Zambia-Zimbabwe)Well before explorer David Livingstone bumped into them and named them after Queen Victoria in 1855, in the local language the waterfall of the Zambezi River was called Mosi-o-Tunya, "smoking thunder", because of the roar and the huge cloud of water that rise from it, both audible and visible from 40 kilometers away. This is probably the largest waterfall in the world, and without any doubt an incredible natural wonder, magnified by a beautiful scenery of islands, rocks and natural pool. Salto Angel (Venezuela)There are no roads or shortcuts to reach the waterfalls of Mount Auyantepui, in the remote state of Bolivar, southern Venezuela, surrounded by the Amazon rainforest. It takes at least two days of trekking through the National Park of Canaima to be able to see this UNESCO World Heritage Site, falling for almost one kilometerin the rainy season and turning into a cloud of steam when the earth is dry. Mc Way Falls (USA)Big Sur a beautiful coastal strip between San Francisco and Los Angeles protected by rocky stretches that open into small coves only reachable by the local fauna. Inside the Julia Pfeiffer Burns State Park, a 24-meter waterfall drops down on a small, pristine beach, only visible from above. Until the mid-1980s, the Mc Way Falls used to drop directly into the ocean, but this unique corner of California still amazes for its power and beauty. Dettifoss (Iceland)In the endless landscapes of north-eastern Iceland, a gap opens up in the land where the Jökulsá á Fjöllum river drops, about 30 kilometers from its outfall. Through its course, the river creates three waterfalls, yet Dettifoss is the most impressive one, with a power of over 200 tons of water per second. Trekking paths run along the river and the canyon walls. Niagara Falls (Canada-USA)In spite of their popularity, the Niagara Falls never fail to amaze, mostly because of the fact that they seem to unexpectedly appear out of nowhere in the heart of densely urbanized area. The effect is undoubtedly surprising. Niagara is the name of the river that connects the vast lakes of Ontario and Erie, as well as of the Canadian town that grew up around the waterfalls only to turn into a sort of local Las Vegas crowded with hotels and casinos. Vinnufossen (Norway)At 860 meters, this is the highest waterfall in Europe, surrounded by an area of ​​rivers and mountains also known as Water Valley, less than 300 kilometers away from the city of Trondheim. Active all year round, the waterfall is fed by Vinnubreen glacier on Mount Vinnufjellet, with a peak in the summer months when its power and reach grow thanks to the higher temperatures. Venice is a state of mind, some say. Everyone has their own: the postcard-perfect Venice, the picturesque Venice of narrow streets and washing lines, that of the fishermen or vaporettosteamboats sailing at dawn. Yet there is a place in Piazza San Marco that is undeniably and quintessentially Venetian: Gran Caffè Quadri, a 19thcentury icon of local aristocracy. Since 2011, Massimiliano and Raffaele Alajmo, respectively the youngest chef in the world to have received three Michelin stars and the CEO and maître des lieux, have taken over the café and coordinated projects, menus and activities from their headquarters, the restaurant and creative workshop Le Calandrein the province of Padua. The new life of Gran Caffè Quadri, which now includes three different spaces - Quadrino, the Gran Caffè and the restaurant – began with complex restoration works led by starchitecht Philippe Starck, supported by selected local artisans. Recovering the original stuccoes required very special attentions: the beautiful decorations, dating back to the time of sumptuous receptions in the city’s aristocratic mansions, had to return to their former glory in order to showcase once again the world of Italian beauty and cuisine. As Starck said, "the Gran Caffè was extraordinary, but dormant. Out of respect, love and intelligence, we did not want to change such concentration of mystery, beauty, strangeness and poetry. We simply searched for its wonders and found a wonderland". Every corner of this amazing place is a piece of a story told through enriched stuccos, chandeliers, decorated fabrics, objects and ancient collections exuding a vaguely surrealistic atmospheres, highlighted by the interior décor choices of Philippe Starck and architect Marino Folin, both interested in recovering every trace of the ancient craft work that gave life to the Caffè. And because of its location on the Piazza San Marco, high water is a regular here at the Caffè - hence the unpainted brass table legs: may the water be their guest, take a seat, and leave its marks. The ground floor houses the Quadrino and the Gran Caffé Quadri, both restored by Anna de Spirit and Adriana Spagnol, while the first floor is home the restaurant, bearing the signature style of Mr. Starck with its subtle humor: take a close look at the wall upholstery and you might spot the Alajmo brothers among the ancient faces depicted on the fabric, along with a mix of gondolas, carriages, spaceships, and satellites. As for the cuisine, it blends Italian and Venetian tradition, relying on a daily supply of seasonal ingredients from the local markets. Venice is thus reflected in the food as much as in the interiors, so chances are that dining at the Grand Caffè will add yet another nuance to your own idea of the floating city. A trip to London is always a good idea: you will never find the same city you remember from your last visit. This summer promises a huge amount of new sights and hangouts for art, food, fashion, and music enthusiasts. Here are a few addresses you should definitely add to your bucket list. All Points EastSummer gigs definitely abound in London, especially in the most legendary venues such as Wembley or Hide Park. Yet this summer will mark the of definitive consecration of Victoria Park as a major concert venue thanks to the All Points East Festival (May and June), featuring huge names from at least two different generations of rock, pop, and electro artists: LCD Soundsystem, Björk, Lorde, Yeah Yeah Yeahs, Beck, Catfish and Bottlemen, The National, Nick Cave & The Bad Seeds.Design MuseumInaugurated in November 2016, the new London Design Museum in High Street Kensington is housed inside the iconic Commonwealth Institute building, a symbol of 1960s British modernism renovated by architect John Pawson. Under the unmistakable parabolic curve of its roof is the largest museum worldwide entirely devoted to design with a collection of 1,000 + pieces from the 20th and 21st centuries. (ph: Ardfern, CC BY-SA 4.0) Fashioned from NatureUntil January 29, 2019, the Victoria & Albert Museum will be hosting an exhibition devoted to sustainable fashion presenting fashionable dress alongside natural history specimens, innovative new fabrics and dyeing processes, inviting visitors to think about the materials of fashion and the sources of their clothes. CornerstoneCornerstone in Hackney Wick is the home of British celebrity TV chef Tom Brown, whose innovative Cornish cuisine focuses mainly on seafood. The kitchen at the center of the restaurant is surrounded by a counter with 11 seats for a very special dinner with a view on the chef’s tricks and secrets, whereas the wooden table made from the reclaimed wood of a 500-year old oak is one of the signature style features of all of Brown’s restaurants.JMW Turner’s homeAfter accurate renovation works, Joseph Mallord William Turner’s home is finally open for visits. Since it was the British landscape artist himself (1775-1851) who imagined and designed the house where he would spend his last years in Twickenham, a visit to this place is a veritable journey back in time and into the mind of a painter whose work epitomizes the all-British passion for the sky’s ever-changing moods. Operated by Kyoto-based lingerie-maker Wacoal, Kyō no Ondokoro is a lodging facility obtained from the renovation of a machi-ya, a traditional wooden townhouse, not very far from Nijō Castle and Nishijin, Kyoto’s famed weaving district. There could hardly be a better place to stay to truly experience the culture of the town. Akira Minagawa, the founder and designer of the brand Minä Perhonen, took over the renovation process, from naming to concept, all through logo design, and turned the 90-year-old machi-yainto something more than just an accommodation. Kyō no Ondokoro offers an experience at the heart of the Kyoto community. Located near Heian Shrine, Kyō no Ondokoro is the first in a row of five townhouses that will open during 2018, at a short distance from museums and other places of interest. Besides the lovely kitchen, with beautifully-designed tableware and the charming floral furniture, the townhouse will not provide you the perks of a luxury hotel or ryokan. However, you will be offered the opportunity to spend your holiday your own way, at your own pace. You can make a reservation online and then check in at the front desk of Kyō no Ondokoro, on the ground floor of Wacoal Shin-Kyoto Building, just opposite Kyoto Station’s Hachijō. Whether it is your first time in Kyoto or your nth, a stay in a machi-yawill provide you with an unforgettable experience. Design, food, and flowers: in the heart of SoHo, NYC, there is a space that combines all the ingredients that make a home unique. They have been chosen and, in some cases, created by designers Robin Standefer and Stephen Alesch, who founded Guild to fulfil a long-time dream after a long career that started in the Hollywood studios and continued in New York with Roman and Williams Buildings and Interiors studio: gathering all the best of objects they created over the years in a single space, which means bringing together stories, people and experiences and making them available. Guild is a space for the senses that tells about different passions combined with a desire for beauty. The Founding Collection designed by Standefer and Alesch is a mix of design objects, furniture pieces, lights and craft accessories selected from all over the world. The style of the creative duo influences every element with its peculiar approach made of eclecticism and irreverence, emerging from the constant search for what they love. How do they do this? They celebrate style by emphasizing its own contradictions, by mixing different period pieces to create cross references and interpreting the evolution of style as a continuous search for contemporary answers to eternal human problems. By maintaining a harmonious unity with a multifaceted surface. And this applies to everything at Guild. La Mercerie Café, home to Chef Marie-Aude Rose, is a French café within Guild where everything comes from the balance between tradition and avant-garde. Flowers and greenery, yet another great passion of Robin Standefer’s and Stephen Alesch’s, find their own space in the much-loved wild floral compositions by Emily Thompson.Visiting Guild truly is an experience that involves and inspires all the senses. It is an invitation to explore the best of what has built the happiness of its founders over the years and finding whatever makes you happy in your own home: a taste, an object, a scent, a color, or a sound. The Alchemist will be soon reopening in its new location: the Refshaleøen peninsula alongside other culinary luminaries like Noma and Amass. These restaurants are New Nordic icons - embracing native ingredients and traditional practices in a modern way, resulting in impeccable fine dining experiences. While fine dining does contain an experimental element, the term avant-garde probably doesn’t come to mind when thinking about New Nordic cuisine. While the shocking dishes (more on this later) can be difficult to look past, The Alchemist does have the underpinnings of the New Nordic spirit. From insects to organs (that would otherwise likely have gone to waste), the surprise menu sounds completely bizarre out of context, but is actually very refined. Dining at The Alchemist consists of 45 courses falling into 8 different categories (fruit and vegetables, seafood, fish, guts, meat, cheese, dessert, and petit four). Yes, there is a method behind the madness: each of the 45 courses is inspired by the 45 elements that alchemists would use when trying to produce gold. Even though the restaurant is making a statement with their food, taste always comes first. As a molecular gastronomist, Head Chef Rasmus Munk expertly experiments with all kinds of foods that he finds interesting, like part of animals that would ordinarily be thrown away. Woodlice, meal worms, chicken feet, and ants may very well also make an appearance, but in the most thoughtful way. The dishes aren’t all so off putting, though. There are plenty of edible flowers, edible paints and a canvas to get your Bob Ross on, fresh vegetables, citrus and, (thank goodness), chocolate and mini donuts, to set your mind at ease. To be honest, it’s not so much the ingredients that are bothersome as it is the presentation, but this is all part of the fun- when was the last time you had a meal that challenged your palate and your mind? The menu changes often and utilizes classic Nordic ingredients such as turbot, langoustine and raw danish milk, just to name a few. Rasmus Munk calls his approach “Holistic Cuisine” as the focus is on all aspects of the meal. Think of the meal as a show and each of the categories as acts. But as you can see, the ethos of the meal extends beyond the food itself. Rasmus’s personal favorite dish is Ashtray which was inspired by his late grandmother’s favorite food: a Danish dish called Burning Love (mashed potatoes, bacon and generous amounts of butter). Rasmus’s version is very intricate: king crab, potato foam, and a few other chemistry lab adapted vegetables that have been styled to look like a pile of cigarette ash. In his own words, Rasmus says, “the Ashtray looks like an ashtray and tastes like Burning Love. It’s comfort food telling you to stay off the cigarettes - I love that!” Calling this level of detail a labor of love is an understatement. Rasmus Munk feels that The Alchemist has only realized 10% of its potential at its old location in Århusgade. How can they sustain so many involved and intricate dishes as they expand into a 10,000 square foot location? Munk says “I simply love what I do, and I find immense pleasure in giving guests a unique culinary experience every single night.” Completely absorbing, though provoking, and thoughtfully created by an innovative molecular chef with experience working at Noma, Geranium, and The Fat Duck who will tell you stories about his life and travels while you dine- The Alchemist will be one of the most memorable (and delicious) experiences of your life. There is a new landmark in Shoreditch that looks like it has landed there from another dimension. Sitting along Willow Street, just off the ever-busy Great Eastern Street and in the art of London’s artistic quarter, the brand new Nobu Hotel Shoreditch is the brainchild of a remarkable team including Academy Award winning actor, Robert De Niro, film producer, Meir Teper, Australian businessman, James Packer, and of course Chef Nobu Matsuhisa. Conceived as a fun-luxury experience destination, this huge steel-and-concrete buildingdesigned by Ron Arad Architects and Ben Adams Architects to marry the raw creative energy of the location with Nobu’s values of simplicity houses a 143-bedroom hotel, a beautiful spa and a 240-cover bar and restaurant. Giving back to the local area, Nobu Hotel Shoreditch will be opening its stunning pocket garden, creating a public space between the vibrant streets and the calmness of the hotel, offering an oasis in the heart of East London. The roomsEach of the guest rooms has been meticulously designed to embrace the property’s distinctive architecture with Japanese aesthetic subtleties. The suites overlooking the courtyard and pocket garden from their own private balconies are particularly luxurious. The largest suite is the exclusive Nobu Suite, featuring two private balconies with views across London’s iconic skyline, a dining area, a lounge, and a bathtub. The restaurantKnown around the world, Nobu cuisine is an innovative interpretation of Japanese, Peruvian and other South American elements pioneered by Chef Nobu Matsuhisa and influenced by his years of studying Japanese cuisine in Tokyo and his extensive travels. The Nobu Shoreditch menu features many of Nobu’s timeless dishes, such as Black Cod Miso and Yellowtail Sashimi with Jalapeno, as well as plates inspired by the creativity and vibrancy of the local area. Reached via a grand staircase, the 240-seat restaurant is bathed in natural light from the five-metre tall glass doors leading out to the charming Nobu Terrace. The spaFocusing on the ideas of balance and mindfulness, the spa offers a range of relaxation, fitness, wellness and beauty services including Yoga classes, facials, massages and body treatments. Amenities include ‘his’ and ‘hers’ steam room facilities and private single or double treatment rooms. He is a TV chef, a cooking book author and a cooking teacher, but above all an ambassador of Italian cuisine in the Far East. Through Fine Trattoria, Paolo De Maria has brought authentic Italian gastronomy to Seoul, setting it free it from the many stereotypes and pale imitations that typically surround it outside Italy, an enterprise that won him the prestigious Ospitalità Italiana quality seal. Today, Paolo is the most popular Italian chef in South Korea and a honorary Korean citizen, with his own cooking shows and a best-selling pasta cookbook. We asked him about the secrets of his own success and the popularity of his restaurant. What are the most popular Italian dishes in Korea?PDM: Our cuisine is still very stereotyped here, so the main Italian dishes among Koreans would be pizza and pasta. Yet in my restaurant I try to offer 360-degree authentic Italian cuisine and Korean customers truly seem to appreciate this. With the support of my Italian staff, I provide them with all the basic information, in an attempt to spread a true knowledge of our food culture. I believe this strategy also repays economically, eventually, but of course it takes time - which is why it is so rarely adopted by Italian restaurateurs. Is there a classic Italian dish that, in your opinion, sums up all the best features of our cuisine in terms of flavors, ingredients and techniques?PDM: There’s plenty of emblematic dishes, but if I were to choose one in particular it would be fresh pasta in general. In my restaurant, I serve exclusively homemade fresh pasta. A properly made Lasagna (of which we have many different recipes in Italy) could be a truly exemplary dish of our national cuisine. Is there any aspect of the Korean food tradition that fascinates you and has somehow influenced your own cuisine?PDM: Professionally, I only deal with Italian cuisine, without any foreign influence. But of course I am personally interested in other national cuisines, especially Indian, Thai, Japanese and even Korean cuisine. What I find particularly intriguing in Korean gastronomy is traditional fermentation, and therefore all those foods such as soy sauce, soy paste and kimchi that, with the use of salt and through time, undergo an organoleptic metamorphosis.I also love the so-called "Royal Cuisine", which dates back to the time of the Korean monarchy and is made up of exquisitely delicate and meticulously prepared dishes. How is life in Seoul for an Italian expat?PDM: Seoul is a huge and exciting city, offering everything anyone might need, regardless of their individual interests. Personally, as an amateur cyclist I am ceaselessly impressed by the efficiency and the quality of its bike lanes, allowing you to ride your bike for hundreds of miles in and out of town, with an endless choice of different routes to pick among. Many have learned about Patagonia through the accounts of Bruce Chatwin, who told the story of a journey through two countries, many stories, and his own roots.Only a few, however, are fortunate enough to see Patagonia through their own eyes, especially having the opportunity to sleep immersed in the incredible nature of Torres del Paine, in southern Chile, a magnificent landscape of forests, granite peaks, glaciers, lakes, rivers and pampas. A UNESCO heritage site and a protected area, Torres del Paine is crossed by hiking trails and equipped for many outdoor activities such as kayaking and cycling, and it is the backdrop to one of the most beautiful eco-resorts in the world, the first geodetic hotel ever, consisting in dome-shaped housing units literally surrounded by beauty. EcoCamp Patagonia was born in 2001 at the behest of two Chilean engineers, Yerko Ivelic and Javier Lopez, inspired by the lifestyle of the Kaweskar, a local native tribe, and their “leave no trace” lifestyles and houses, crafting state-of-the-art geodesic domes that run of solar and hydraulic energy, are fully eco-friendly, and allow guests an immersion with their surroundings that other hotels lack. The ‘cottages’ are far from basic: from the standard room to the suite, the interiors are beautiful and perfectly comfortable. But the real luxury, here, is to leave for a trek from the heart of the Park, in the company of expert guides and with the certainty that you will be having an immersive experience in the presence of nature, only to return to your room and fall asleep looking at the stars shining against a perfectly dark sky as you lie on your bed. At EcoCamp there are also convivial moments, to be enjoyed at the communal table for breakfast or dinner, in the library, at the cocktail bar or browsing among the local craft shops.Ready to leave? Take a look at the upcoming tours. There are only a few places in Amsterdam where the city’s past and present blend so well like on KNSM island, in the city’s Eastern Docklands. This man-made island built in 1903 used to house the Royal Dutch Steamboat Shipping company’s headquarters and docks, and although it is now a gentrified residential area with remarkable modern buildings and artist lofts, somehow it still oozes its original old harbor charm. Surrounded by the vibrant atmosphere of this neighborhood, the Yays Crane Apartment is a beautifully designed holiday home housed inside a former crane named Figee 2868 that’s been serving the world trade by unloading ships for 20 years. Spared from the transformation of the neighborhood into a residential area in the mid-Seventies, Figee 2868 was later restored on the initiative of a local resident, in cooperation with the Eastern district of Amsterdam, Yays Concierged Boutique Apartments, the Conservation of Historic Buildings and Sites and the municipality. Amsterdam based interior designer Edward van Vliet transformed the unique monument into an apartment, while maintaining its characteristic look and feel. The crane is now back at its original spot on the Surinamekade, and available for rent to offer its lucky guest a unique experience. Bento has become a common word worldwide. 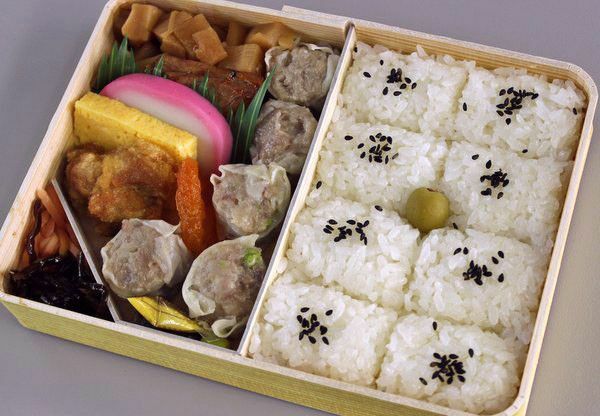 In Japan, the country where bentos were first conceived, the choice has been diversified to serve all purposes, from lunch breaks to train rides. Bentos can have various decorations, but perhaps the most representative of the Japanese popular culture is the kyaraben, depicting characters from Japanese anime, manga and videogames. Bento boxes are extremely eco-friendly, since they do not require any use of plastic wrap for storing or plates for serving, and can be easily washed and reused. Some are made of natural materials, so they can be disposed of or burnt, without affecting the environment. Opening the lid provides an extra thrill to an otherwise ordinary packed meal. Left-overs are not mere left-overs when duly arranged into a bento box. Recently, an increasing number of long-established restaurants have taken on delivering lunch boxes prepared under the supervision of the most renowned chefs. Bento is a must when travelling by shinkansen. If you are taking a bullet train from Tokyo Station, you will be spoilt for choice when it comes to lunch boxes, inside and around the station. Take a one-minute walk to Daimaru Tokyo, the large department store, a true bento paradise. Since we certainly do not want you to miss your train while choosing, here are a few recommendations. Nadaman: ŌgiWhen it comes to bentos, Nadaman has been an institution in Japan ever since its foundation in 1831. Prepared with the freshest seasonal ingredients, which include rice, fish, meat, pickles, eggs, vegetables and an umeboshi salted plum, makunouchi is an elegant, well-balanced and delicious lunch box. TakimotoTakimoto is renowned for its seafood bentos. If you are a seafood lover, you should really try the luxurious millefeuille, with alternating layers of rice, raw fish and roe. Meat Yazawa and Blacows Take-Out StationThe long queues are a giveaway of the popularity enjoyed by this bento shop located in Gotanda. Here you can buy a lunch box with Kuroge beef hamburg steaks cooked on the spot and laid out on a layer of white rice. Kiyōken: Shumai BentoShumai Bento has been enormously popular since its first appearance in 1954 at Kiyōken, the most popular shumai restaurant in Yokohama. In addition to shumai dumplings, the box contains teriyaki grilled tuna, crispy fried chicken and tamagoyaki-style omelette, in an enticing and colourful pattern. 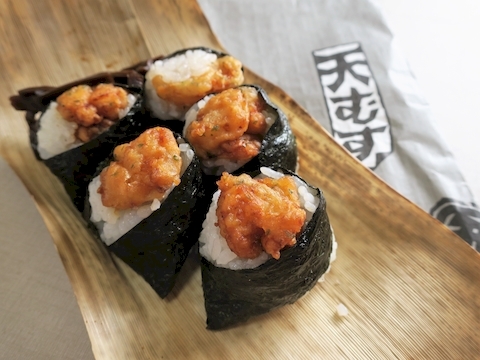 Jiraiya: TenmusuTenmusu is a Nagoya speciality consisting in rice balls wrapped up in nori seaweed and usually filled with deep-fried shrimp. Tenmusu is customarily wrapped in sheaths of natural bamboo, which absorb excess water and are environmentally friendly. Southern France is almost inevitably a synonym for the Côte D’Azur and its crowded beaches and millionaire hangouts in Cannes, Nice, and Saint-Tropez. Yet the western part of the Southern French coast has a lot to offer, too, and without all the crowds. Beloved by the group of French painters known as Les Fauves, who drew inspiration from its red rocks and warm Mediterranean light at the beginning of the 20th century, the Côte Vermeille sits between the Pyrénées and the Mediterranean sea from Argelès-sur-Mer to Cap Cèrbere, on the Spanish border. Neither France nor Spain, this Catalunian French corner has a rocky coastline broken by sandy beaches, hills covered in vineyards sloping towards the sea and dotted with the ruins of ancient castles, a delicious cuisine and some truly magnificent landscapes. In other words, the perfect mix for those who love enjoy a quiet, relaxed vacation surrounded by beauty and local culture. Argelès-sur-MerA long sandy beach. Restaurants, cafes and beach clubs overlooking a turquoise sea. Stores selling bathing suits and buckets & spades. Argèles is as close to a classic family seaside resort as you can get on the Côte Vermeille. But there is more to it: castles, natural preserves, and a beautiful cathedral housing and ancient churches. Collioure Simply France’s most painted fishing village, which inspired Matisse and the Fauves with its cosy harbour, the unmistakable bell tower/lighthouse with the pink top, the castle, and the colorful houses with ochre roofs. In Colllioure you can still stay at the Hôtel-Restaurant les Templiers, a favourite of artists of the likes of Picasso, Matisse, and Chagall, now also housing a museum. To plunge into the town’s artistic past, we recommend that you walk along the Chemin du Fauvisme, a walking path that runs through the village’s most depicted views and landscapes, marked by the reproduction of the paintings they inspired. Port VendresIf you’re into water sports, be it surfing, snorkeling or scuba diving, this pretty and historic harbor city has everything you need. Also, do not miss the Saturday morning market, packed with colorful and fragrant Catalan spices and other local delicacies. Banyuls-sur-Mer The Côte Vermeille is also a very renowned wine region, with beautiful hills covered in vineyards and sloping towards the sea. Banyuls is surrounded by vineyards and dotted with wineries where you can taste and buy some pretty unique sweet natural local wines - Banyuls, Banyuls Grand Cru, and Collioure – paired with foie gras and blue cheese. Cerbère The last stop before the Spanish border, this colorful and picturesque postcard-perfect village is the ideal trekking destination. Trekking routes depart from the town centre and head to secluded, hidden beaches through beautiful landscapes. The solar lighthouse in Cap Cerbère towers over a high and steep cliff with its red top. Blooming flowers are the most unmistakable sign of winter’s ending, and it’s no surprise that this natural wonder is so eagerly awaited everywhere in the world. Wherever it happens, nature’s rebirth can be truly refreshing, so why not celebrate it by following this colorful wave all around the planet? Here are a few destinations that you should not miss out. Okinawa to Washington Hanami is the name for the contemplation of blossoming cherry trees that envelop Japan in pink from Okinawa, down south, in January to the northern island of Hokkaido in June. Every year, millions of Japanese and international tourists travel out of love for this natural spectacle. Yet hanami can also be experienced in the US: the Tidal Basin in Washington DC is surrpunded by beautiful cherry trees planted in 1912 by the then mayor of Tokyo Ozaki. Piana di Castelluccio (Italy)Castelluccio di Norcia is a village in the heart of the Sibillini Mountains National Park in central Italy, overlooking a huge plateau where red lentil flowers bloom between the end of May and the beginning of July, blending with tulips and narcissuses, thus giving birth to the so-called fiorita. Arles to Verdun (France)Blossoming almond trees in February, irises in May, lavender from June to August: from Provence to Auvergne, southern France is the ideal flower tourist destination. Van Gogh and the Impressionists freezed in time this ever-rebirthing beauty, and the master perfumers of Grasse turned it into iconic fragrances. Uttarakhand (India)West of the Himalaya, at over 12,000 feet of altitude, on the banks of the Pushpawati river sits the Valley of Flowers National Park which welcomes tourists looking for colorful, pristine nature since 1982. From June to October, trek tours through the valley allow them to quietly enjoy the amazing spectacle of the blooming flowers, and maybe to spot the occasional snow leopard. Kaukenhof (The Netherlands)The largest flower park in the world is just 35 km from Amsterdam and it boasts over 32 hectares of pure color thanks to the thousands of tulips that bloom every year. The park is open during the blooming season, from March to May, and it is deemed a must-see among flower tourism enthusiasts. Herfordshire, Norfolk e Devonshire (UK)Bluebells are wild flowers whose color varies from light blue to indigo from a 19-inch tall perennial herb which blooms in May. Every year in May, they paint the English woods deep blue, making for the perfect excuse to discover England beyond London. Val D’Orcia (Italy)Between the provinces of Siena and Grosseto there is an extraordinary concentration of medieval villages including Pienza, Bagno Vignoni, Montalcino, and Monticchiello. From April to May, these meadows and hills sloping towards the sea are dressed in red because of the thousands of blooming poppies. Hitachi Seaside Park (Japan)East of Tokyo, in the Ibaraki Prefecture, there is a 860-acre flower park overlooking the Pacific Ocean that is open all year round thanks to the exceptional variety of flowers that alternate from season to season, changing the color of the landscape. The 170 varieties of tulips and the million daffodils are only two of them, along with the classic “baby blue eyes”, the tiny blue flowers that dot the meadows between April and May. El Kelaa M’Gouna (Morocco)50 miles northeast of Ouarzazate, on the Moroccan Atlas Mountains, lies the Valley of the Roses, where thousands of wild roses bloom every year in May, hosting the local Rose Festival that attracts enthusiasts and professionals from all over the world. The most widespread variety, the Damask rose, is picked at dawn, when the scent is more intense, and dried to be used for essential oils and fragrances. The roses blooming at dawn on the orange mountains make for an unforgettable view. Greenwich Park, LondonA Royal Park ever since 1433, Greenwich Park is home to long rows of cherry trees that dress its paths in pink and white every year between April and May. An unexpected cherry blossoming that is yet another excellent reason for visiting this beautiful park, mostly known for the Observatory and the Greenwich meridian. Hong Kong truly shines at night. When the sunset sets in and the lights of the skyscrapers turn on (at 8 p.m. sharp), the city acquires the unique and unmistakable charm that has turned it into an icon. Suspended between the British colonial era heritage and a strong Chinese imprint, this crowded city of 7 million souls (including 68 billionaires) is an urban jungle that rises up to the sky for obvious space limitations, and although at times it can get pretty busy and packed you will hardly feel uncomfortable or in danger. Scattered with starred restaurant offering cuisine from all over the world, amazing clubs and rooftop bars with breathtaking views, Hong Kong certainly isn’t short of things to do at night – actually, there are so many options that it’s probably best to narrow them down a bit. So, here’s everything you need to know to spend an unforgettable night in town. Moving Across TownHK is divided into four main areas: Honk Kong island, Kowloon Peninsula, the New Territories, and Lantau island. Depending on where you have to go, you will need to call or hail a different kind of taxi (red and silver for HK island and Kowloon, green and white for New Territories, and blue for Lantau).Taxis in Hong Kong abound and are incredibly inexpensive, so this is truly a great option – just remember that they do not accept card and drivers prefer smaller bills or coins.The subway is also great value for the money: just buy an Octopus Card (which also serves as a prepaid credit card) and it will take you anywhere in the city.Also very affordable is the historic green & white Star Ferry (dating back to the 19th century) travelling from HK island (Central Pier) to Kowloon (Star Ferry Pier) and back every 10-12 minutes across the Victoria harbor: besides offering the opportunity to admire the city’s skyline, this is really a quintessential HK experience that you should not miss. A Taste of Pure HK-style NightlifeIf you’re willing to plunge into the heart of the city’s vibrant life (and nightlife), we definitely recommend a walk along Hollywood Road, the winding street that stretches all the way from Hollywood Road Park through SoHo and to the heart of Central, Hong Kong island’s busiest district. You will be swept away by the incredible amount of restaurants, street food stalls, bars and shops – especially antiques and art stores. The Perfect SunsetSo, the night is coming and the sun is about to set. Time to head to Victoria’s Peak, Hong Kong’s highest peak (at over 1,800 feet), which offers one of the best views on Victoria Harbor and the whole HK island. Take the Peak Tram (from the Central Pier Star Ferry), enjoy the ride and reach the nearby Peak Tower of the Lion Kiosk to watch the sunset over the city and see the lights turn on. The Night MarketNight markets are yet another HK classic. This old tradition 19th century tradition used to include hunting for bargains in the cool evening temperatures, live shows and late night street food snacking – one of the most famous night market, which was later replaced by the Macau Ferry Terminal, was significantly named the Poor Man’s Nightclub.Of all the night markets, the Temple Street Night Market is the only authentic one that is left: you can buy everything from clothes to traditional art, electronics, and accessories, and most things come at very affordable prices. And of course, the street food abounds. DINING & DRINKINGThe food and drink scene in Hong Kong is truly incredible, almost overwhelming. In a city at the crossroads of East and West where you can find basically every kind of cuisine the world has to offer, it can sometimes be hard to discern and pick the right place among the endless variety of bars and restaurants. So, here’s a selection of some of our favourite spots. RestaurantsHoo Lee ForkFunky chinese cuisine inspired by old school Hong Kong cha chaan tengs (affordable restaurants) and the spirit of late-night Chinatown hangouts in 1960s New York. The ChairmanSimply put, the city’s best Cantonese restaurant, where you can find the best fresh ingredients with an eco-friendly take on traditional recipes. Mott 32A beautifully designed modern Chinese restaurants in the heart of Central that seamlessly blends New York industrial style with Chinese imperial elements in a homage to Hong Kong culture and cuisine. Duddel’sA classy and sophisticated Michelin-starred restaurant with beautiful art on the walls and stylishly designed interiors, offering everything from dim sum to top-notch international cuisine. Tate diningA superb fine dining destination serving an eclectic mix of French and Asian Cuisine and a set of “Edible Stories” taking diners on a gustatory adventure. BarsFoxgloveA speakeasy disguised as a British-style umbrella shop and accessed via a secret doorway towards the back of the boutique. The glamorous interiors are absolutely cinematic and inspired by 1930s first-class airplanes and vintage cars. Definitely a one-of-a-kind place. QuinaryA hip Hollywood Road cocktail bar that has become an institution thanks to its unique molecular cocktails, created by renowned bartender Antonio Lai. Please Don’t TellThe intimate cocktail bar of the Mandarin Oriental Hotel - a branch of the New York bar of the same name – is a sleek, international venue offering creative cocktails developed by renowned mixologists Jim Meehan and Jeff Bell. Ping Pong GintonerìaNestling in happening Sai Ying Pun, with its spacious, urban chic interior, and hidden hangout vibe, Ping Pong Gintonería is the hipspot for stylish sipsmiths and cocktail casualistas alike. Murray LaneThe bar housed inside the lofty and light-filled lobby of the luxurious Murray Hotel is a hit on the vibrant Hong Kong bar scene, offering everything from artisanal spirits to wines and craft beers, along with refined small plates of bar favourites. The hotel will soon be opening a much-anticipated new rooftop bar, so… stay tuned! Thanks to Claudia Gaudiello for the recommendations. Have you ever thought about how many beautiful cities you have been missing so far simply because you’ve never even considered visiting them? Hiding in the shade of the big world capitals and sheltered by their being off the radar, these ‘minor’ destinations may not be top-of-mind but they are often full of surprises. From Europe to the United States and Japan, here are a few detours worth taking from your next travels. Nantes, FranceThe Capital of Western Loire, Nantes turned from a port and an industrial city into a cultural hub which attracts tourists and talents from all over the world, just like the l’Île de Nantes, a long island on the Loire that went from being an industrial district to becoming a civic and art space. The Bouffay district, around the castle, is yet another example: a maze of medieval streets full of small shops and bistros often welcoming creative intrusions from contemporary artists. Between July and August, Le Voyage festival helps visitors discover the city and its highlights, from the cathedral of Saint Paul et Pierre to the Museum of Fine Arts, featuring works by Picasso, Chagall, Kandinsky, and Monet. Lübeck, GermanyThe "Venice of the Baltic" is a city of water along the Trave river and 20 kilometers away from the sea. Accessing from Holstenstor, the ancient medieval gate that marks the entrance to the city, you will cross a maze of winding streets that open onto small squares surrounded by sloped roof houses. Lübeck's belonging to the Hanseatic League, the group of Baltic cities that dominated the trades in Northern Europe between the 14th and 16th centuries, has left marks everywhere. With its typical red brick architecture, the Buddenbrook Haus in memory of Thomas Mann and the delicious marzipan sweets, Lübeck is the ideal city for a slow weekend. Portland, USAThis vibrant Oregon city is mostly known as the home of hipsters and indie-folk music. Yet Portland is also a comaratively quiet and pedestrian-friendly town that you can explore by taking long walks, crossing the movable bridges over the Willamette River under a constant drizzle, listening to dozens of different languages ​​and trying food from all over the world sold by the food trucks that dot the center. A multicultural college town, Portland offers tons of craft breweries, bicycles everywhere, a lively Chinatown and former industrial buldings converted into art galleries, creative hubs, and smart economy startups. Sapporo, JapanHokkaido is the northernmost island of Japan and its landscape, by nature and climate, is close to that of the European Alps or the Sierra Nevada. Sapporo is one of its largest and most vibrant cities, featuring a vast urban park and the popular Snow Festival in February, which fills the city with ice and snow sculptures. As for food and drinks, the local beer of the same name is the perfect complement to some exceptional ramen from the Susukino neighborhood or seafood from the fish market. Tavira, PortugalAlgarve, the most renowned destination in Portugal, has recently become the target of thousands of tourists, especially from Northern Europe. Yet there is a small town that has managed to retain its century-old charm: Tavira. A few kilometers from Faro, it has a typically Moorish plant, with a narrow streets and small squares, and it offers the unspoilt nature of its beaches sheltered by the Ria Formosa Natural Park, as well as the ancient beauty of the 37 churches that dot it. Vicenza, ItalyAmong widely recognized gems such as Venice, Verona and Padua there is a Venetian city that is distinguished by a sober and composed beauty: Vicenza, the town that was (re)designed by architect Andrea Palladio (1508-1580) with consistent magnificency, from the aristocratic palaces to the villas on the Riviera dei Colli Berici onthe southern border of the city. Among its gems are the beautiful Basilica, a Unesco heritage, and the Loggia del Capitaniato, home of the local legislative and judicial power at the time of Venetian rule. The Olympic Theater is the ultimate example of the architectural matrix of the city: designed by Palladio, it has an incredible trompe-l’oeil onstage scenery - the oldest surviving stage set still in existence - designed in 1585 by Vincenzo Scamozzi and replicating long streets receding to a distant horizon. Ghent, BelgiumGhent is one of the most vibrant cities of the East Flanders. A city of water at the confluence of rivers Lys and Schelda, for centuries it has been a major trading port, and this heritage is still visible in its ancient architecture. The pleasant contrast between the thousands of students from all over the world who come here to study at the local university and the old-time grandeur of its noble palaces and Gothic cathedrals gives the impression of a place suspended in time and yet dynamic. Segovia, SpainThe symbol of Segovia is the Roman aqueduct built in the first century AD that, with its 30 meters of height and 800 of length, for centuries has been carrying water into the city from the heights of the Sierra that surrounds it. The marks left by the Romans are enriched with Medieval walls, Romanesque churches, Gothic cathedrals and the much more recent mines, making this city an example of a melting pot in the heart of the Castilla Y Leon region, north-west of Madrid, along the course of river Eresma and the route of the Camino de Santiago. Katsu-sando is the undisputed king of Japanese sandwiches, in all its variations: from medium-cooked beef to succulent pork, with soft bread or crispy slices of toast. You may have it at the shop or take it out and eat it at a park, in the office, or even at home. Regarded as a classic, the cutlet sandwich was created in 1935 in a tonkatsu shop in Ueno named Isen and frequented by geisha. It was in fact expressly devised for the geisha who needed something small to eat without smearing their lipstick. The katsu-sando was the perfect response to their need and the popularity of those tiny chunks of pork cutlet enclosed in soft bread spread to the rest of the city and of the country in no time at all. In Kantō, the region of Tokyo, katsu-sando consists mostly in pork cutlet sandwiches, whereas in Kansai, the region of Osaka, it is mainly beef. And of course, in Tokyo you can find both types of meat in a wide array of flavours. Shinsekai Grill Bon (Ginza)With its headquarters in a long-established shop in Osaka, Ginza’s Shinsekai Grill Bon is a sandwich outlet specialised in gyūhere katsu-sando – beef filet. Either you have it at the counter or takeaway, you will love the irresistible fragrance of the toasted bread combining with the juiciness of the medium-rare beef filet and a slight mustard finish. Tokyo Kenkyō (Shibuya)Located in Shinsen, between Shibuya and Daikan’yama, this café offers sandwich menus with a soft drink and a salad. The most popular one is undoubtedly the made-to-order extra-thick pork filet sandwich menu. The meat is thick, tender and juicy, with a sweet and sour sauce to provide the perfect balance. The bread comes from a renowned bakery in the city. All the sodas are prepared with freshly-pressed yuzu citron and apples. Central Bakery (Ginza)A subsidiary of Shibuya’s baguette shop Viron, Central Bakery sells the most sought-after sandwiches, made with carefully selected ingredients, from the slightly toasted bread to the deep-fried pork cutlet, with very little extra condiment. It is a winning combination for which people are ready to stand in a one-hour queue. Udagawa (Mitsukoshi-mae, Chūō)Decorated like an elegant gourmet restaurant, Udagawa is an institution for its katsu-sando. If you take a seat at the counter, you will be able to hear the distinctive sound of pork cutlets frying, and to smell their mouthwatering fragrance. The meat comes in chunks so thick that the bread looks thin by comparison. The perfect balance between the juiciness of the meat, the crispy texture of the cabbage, and the slightly sweet tang of the sauce can be enjoyed even when cold. Izakaya Mamezo (Torigoe, Taitō)Featured in the television series based on the eponymous manga Kodoku no Gourmet (“The Solitary Gourmet”), Mamezo is an izakaya, a Japanese pub, located in an alley next to Torigoe. The quality of the food is so high, you will not believe it is an izakaya. The fish comes from Tsukiji Market, directly shipped from Uozu Port in the Toyama Prefecture. The house katsu-sando consists in a thick chunk of pork sirloin cutlet, served in two slices of bread toasted on the inner side and garnished with the Mamezo special sauce. Due to the popularity of Kodoku no Gourmet and the subsequent popularity of the shop itself, reservation is highly recommended. It is such a treat and a privilege to enjoy the beauty of Paris from above, sitting on your own private terrace with a view on the rooftops, the Tour Eiffel or the Grand Palais. Yet this is something you can definitely get at Le Pavillon des Lettres, a 26-room boutique hotel sitting just a stone's throw away from the Champs Elysées in the heart of the city. The name is easily explained: le Pavillon is literary-inspired, with each room and suite dedicated to a different letter of the alphabet – and in turn a great writer from European literary history. From A for Andersen (Hans Christian) through to Z for Zola (Emile) – via B for Baudelaire, H for Hugo, S for Shakespeare and more – each room holds its writer integral to the design, with lines from poetry, prose and novels inscribed on the walls. Recently, the hotel even introduced a "literary room service menu", allowing guests to choose among a a selection of volumes ranging from classic novels by some of the writers who lend their names to the bedroom doors of the hotel to photographic books on art and architecture, style guides, and tomes about French fashion icons. Yet Le Pavillon is not all about literature: its refinement extends to the decor and the cosy atmosphere, dominated by dusky nuances ranging from black to light brown and chocolate and plush velvet sofas and chairs in brighter colors. But the height of luxury at Le Pavillon is epitomised by the picture-perfect views over the rooftops of Paris to the Eiffel Tower that you can enjoy from its two top-floor suites - definitely as Parisian chic as it gets. There is a little green oasis tucked away beside the River Thames in the heart of Chelsea, London, where plants have been growing since 1673 and you can find the largest outdoor fruiting olive tree in Britain and the world’s most northerly outdoor grapefruit tree. Despite sitting in the middle of the vibrant neighborbood's contemporary hustle and bustle, this remarkable piece of the city's history has managed to preserve its original charm, dating back to when the Apothecaries first established it to grow useful and medicinal plants that have changed the world. The Chelsea Physic Garden is London’s oldest botanic garden, and it has seen numerous, notable figures over the years, including Sir Hans Sloane (to whom nearby Sloane Square owes its name), a famous physician, naturalist, collector and the founder of the British Museum, who purchased the Manor of Chelsea from Charles Cheyne, and leased the Garden to the Worshipful Society of Apothecaries of London for just £5 a year in perpetuity. The garden still pays this sum to Sir Hans' descendants today. Among other notable curators is Thomas Moore, who made the Garden the foremost collection of medicinal plants in Britain during the Victorian era. Chelsea Physic Garden is home to a unique living collection of around 5,000 different edible, useful, medicinal and historical plants contained within its sheltering walls. The Garden’s warm micro-climate also allows many tender plants to flourish here, including a number of rare and endangered species, and the Glasshouses hold a collection of tropical and sub-tropical species, complemented by a Victorian Cool Fernery. There is always something going in the garden, from family activities in the weekend, ranging from exploring the world of mini-beasts to learning how to make your own herbal remedies and chocolate blends, to gardening courses and workshops. Yet you certainly need no excuse to come and enjoy the beauty of this quintessentially British corner of beauty and peace. In January 2018, Talent Garden, a network of spaces dedicated to digital, technology and creativity professionals, outlined the five trends that are shaping the world of smart working: increased demand, the search for wellbeing, large companies looking for coworking spaces, the popularity of the most unexpected places, and a growing need fo state-of-the-art technology. Milan is the Italian city with the highest concentration of coworking and smart working spaces. Here's a list of the ones you should visit to see for yourself how the coworking world is changing. For contemporary dreamers: YoRoom, in the Isola district, has included among its missions that of becoming a socially responsible community, collaborating with NGOs and supporting start-ups with a social impact on the local community. For hipsters: in Milan's vibrant Chinatown, Otto is a cozy, spacious, and colorful space perfect for those looking for a place to work and at the same time for the opportunity to unplug and relax as soon as the aperitif hour strikes. For mums and dads: QF stands for Family Quotient and it is a smart working space with an adjoining kindergarten designed for those who need to juggle work and family, with a calendar of evening events dedicated to relaxation, wellness, and sociability. For musicians: Santeria Paladini is an authentic social club where you work, listen to music, stay up late, meet professionals with the same passions, and keep up with the trends of the moment. Its garden is a metropolitan oasis. For engineers: Cow-o is located in San Giuliano Milanese and it provides secure parking. Housed in the former premises of Ariston, it is the brainchild of a group of entrepreneurs working in telecommunications, energy, and human resources. For designers: Archiproducts, one of the largest digital communities dedicated to the world of design, has created a space in the Tortona Design District devoted to interconnections, exhibitions, events, and networking. For startuppers: Talent Garden is a European network of hubs for digital and creative professionals, a place devoted to scouting and exchange between large companies and small growing businesses, and a training center for growing talents. It has two locations in Milan: via Merano and via Arcivescovo Calabiana. For urban cyclists: HugMilano, house inside a former chocolate factory, defines itself as an "urban regeneration hub". It is a space for smart working, a bistro and a hostel with a range of services for those who love cycling, including a bike shop. For trendsetters: BASE is a residence and a project house where new ideas come to life, a meeting place literally located at the crossroads of the worlds that mostly epitomise Milan: fashion, design, and theater. Expect an international atmosphere and an easy and determined spirit. For those who want to feel at home: Coffice offers working spaces at an hourly rate including sweet and savory snacks, as well as the informal and laid-back atmosphere of a cosy environment. It has two locations in town: viale Caldara and via Olona. Milan, Ripa di Porta Ticinese. Along the banks of the Naviglio, in the heart of one of the city's most vibrant nightlife districts, there is a tiny and mysterious wooden door, always closed and surprisingly plain as compared to its surroundings. To walk past it, you have to follow a very defined instruction list: first call a telephone number, then book and finally gain access to the key that opens the door to Back Door 43, possibly the world's tiniest bar. Of course, the reservation is valid for the whole bar, whose beautiful 4 square meters include a counter, four stools, plenty of bottles on the floor-to-ceiling shelves, and above all a barman wearing a Guy Fawkes mask (does V for Vendetta ring a bell?) at your complete disposal, ready to mix some of the city's best cocktails (with five house specials changing every month) and to let you taste an impressive whiskey selection. The experience is undoubtedly unique and rewarding: by reserving, you will have the room all to yourself and a maximum of three friends for two hours (there are four shifts starting from 7.30 pm), to drink, taste whiskey and chat with your bartender (who will probably have removed the mask at this point). Alternatively, you may want to drop by and order a take-away drink from the small window overlooking the street, as plenty of customers do, especially on warm spring nights. One last thing: if you are not used to drinking on an empty stomach, bring something to nibble on, or give them a ring in advance and you will find whatever you prefer.